The origin of the universe is powerful evidence for God. But here’s something else. The origin of the universe can actually help someone test competing religious claims and determine which religions can’t be true based on the evidence. A recent post by Wintery Knight reminded me of this important topic that I will explore today. There are a few reasons why your kids should know at least the basics of the evidence for God outside the Bible. The first is to give them as many reasons to hold on to their faith as they face challenges in the future. You have no way of knowing what challenges they will face, nor what questions they will struggle with, why not equip them well? Another is to make sense of Christianity in a world of competing religions. I say competing deliberately: all religions make different truth claims about how we got here, what our purpose is, what went wrong with us, how to make it right and what comes after death. How do you know which is true? […] it is OK for people to critically evaluate a worldview – any worldview – by using evidence. […] The real answer to the question “Why am I a Christian?” is “because of the evidence”. And the real answer to the question “Why I am not some other religion?” is “because of the evidence”. Let’s take a look. But the evidence today shows the universe, and time itself, had a beginning at the big bang. If you follow the logic, a religious worldview, such as Hinduism, that teaches that the universe is eternal, is far less likely to be true than one that holds that the universe had a beginning. 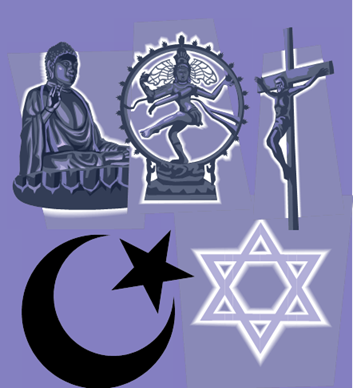 There are only three world religions that teach that the universe had a definite beginning: Judaism, Christianity and Islam. This is creation ex nihilo – creation out of nothing, which is what we see from the evidence of the origin of the universe. A thoughtful person could use the evidence that the universe had a beginning as one means to test the religious claims of competing religions to see which are more likely to be true. In my next post, I’ll uncover a new Fingerprint of God found in General Revelation. ← Fingerprint #1: What’s Inside This Box? I think you don’t appreciate the uncertainty in physical models for the end of the universe. See “Conformal cyclic cosmology” for one of the theories that does predict a cyclic universe and “Theories about the end of the universe” about other current theories, some cyclic and some not. BTW no scientific evidence supports the universe being created basically as it is now 6-10,000 years ago. Thanks for your comment. I am aware of the many different theories about the origin and end of the universe. Many of them (chaotic inflation, string, multiverse, oscillating, steady state) are speculative and hypothetical or contradict known laws of physics (the 2nd law of thermodynamics, for example). Many still require a beginning to get off the ground. Most of us know very little about the conformal cyclic cosmology as it is a relatively new discovery and hasn’t had much time for study and debate. I am aware that some astronomers criticize the way in which Gurzadyan & Penrose did their probability calculations. This could affect their conclusions. I’m not sure if you are trying to say this or not, but if you are suggesting that this new discovery refutes the previous claims of a beginning for the universe, I’d suggest that is very premature. I’m not sure why you made the comment about there not being scientific evidence to support a 6-10,000 year old universe. I have made no comments about this in any of my posts. Are you perhaps reading in to my position? I do not require a young earth to hold my position that the Christian God exists. Just to say – you are right you didn’t claim a 6-10,000 year old universe but I have heard a lot of people say that the bible does imply this. If you take Genesis literally it does imply that the world was essentially similar at creation. I think that Penrose’s ideas are very interesting – each Universe has an infinite future (in its own timeline) but ends as another universe begins from the point of view of the multiverse. As for probability calculations I cannot judge – all quantum probability calculations seem “dodgy” to me, looking at varying degrees of infinity, etc.! There is a debate among Christians about whether or not Genesis was 6 literal days or figurative days. I have not heard of any of mainstream scientists who have been convinced of the literal meaning (which would imply the 6-10,000 year old earth) by scientific evidence. Here is a summary about this topic by Wintery Knight that might be useful: http://winteryknight.wordpress.com/2012/07/13/are-any-scientists-persuaded-by-science-alone-to-accept-a-young-earth/. New ideas and developments are always interesting, the key is in determining how plausible and probable they are. Are they more probable than the explanations we already have? Some of the ideas you cited in your first comment seem, to me, like acrobatic attempts to avoid a universe with a beginning. That’s how they come across. Interest alone can’t make a new idea true or more likely. I think the big challenge for all of us is to not allow our preferences or biases dictate what we hold on to and what we discard. I like to watch these discoveries for a while in order to see which last and which don’t.